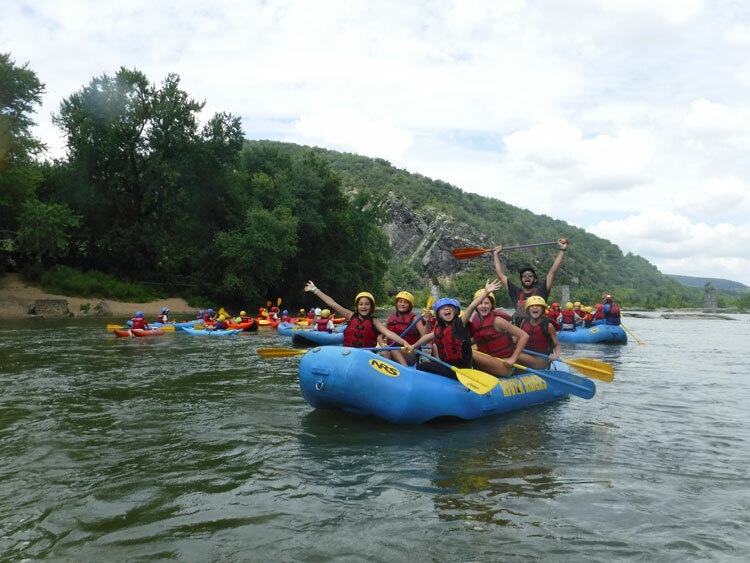 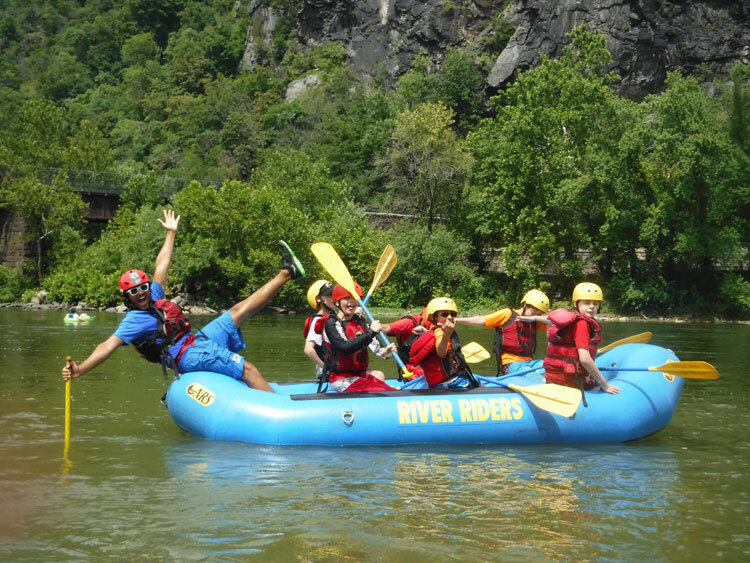 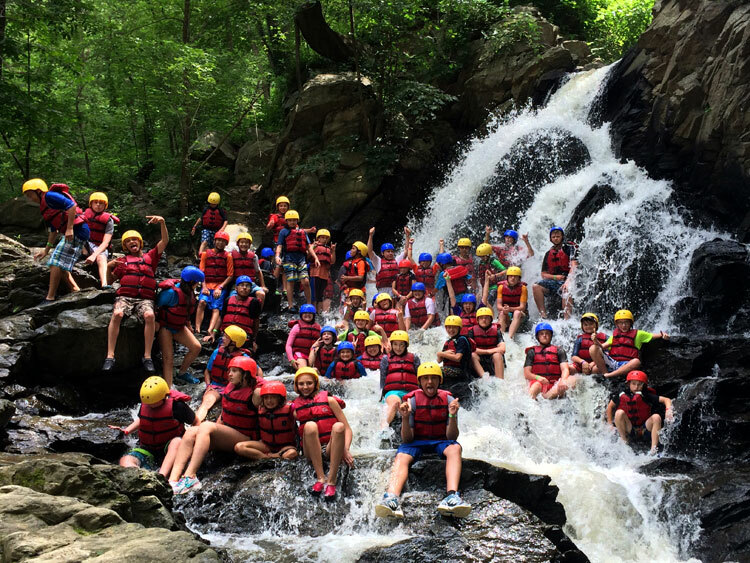 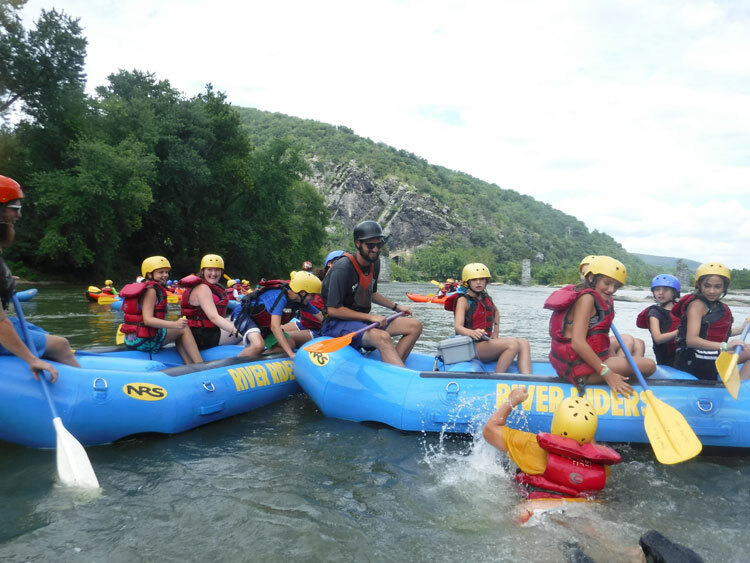 Campers will be guided through the splashing white water rafting of the Shenandoah and Potomac Rivers near Harpers Ferry, West Virginia, where Maryland, Virginia, and West Virginia come together. 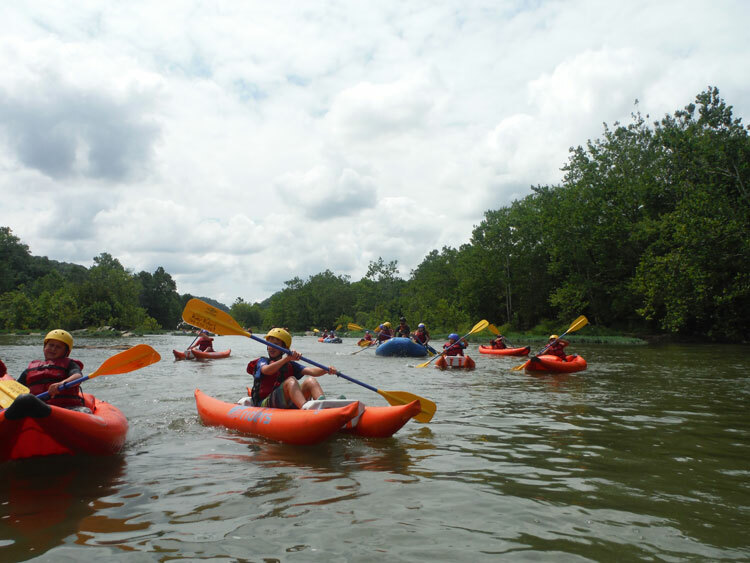 This 6-7 mile river excursion provides a wonderful experience for beginner to intermediate paddlers looking to enjoy class I-III white water rapids and breathtaking scenery. 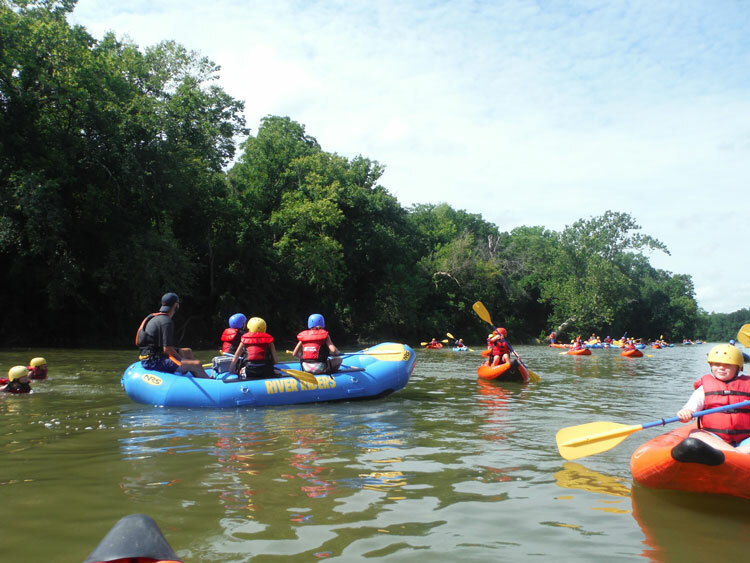 Rafts accommodate 4-6 campers plus a guide; the number of participants in each raft may vary due to water levels. 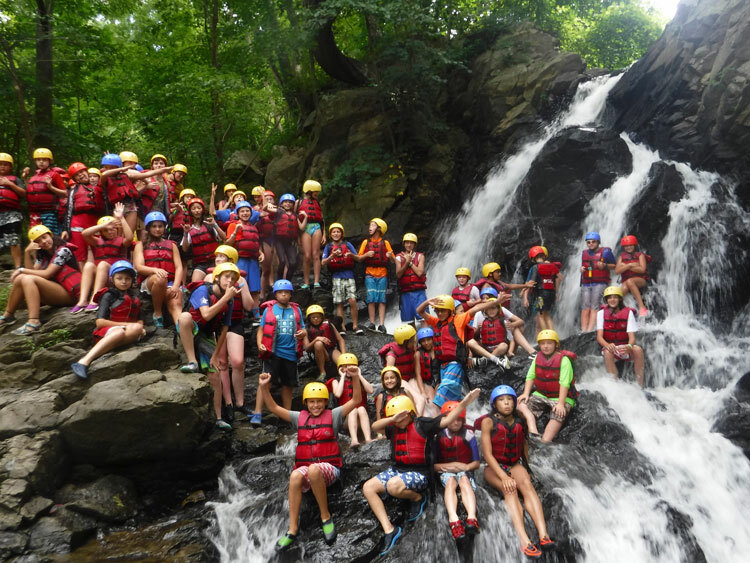 Outdoor Adventure Camp turns this typical 2-3 hour trip into an all day event. 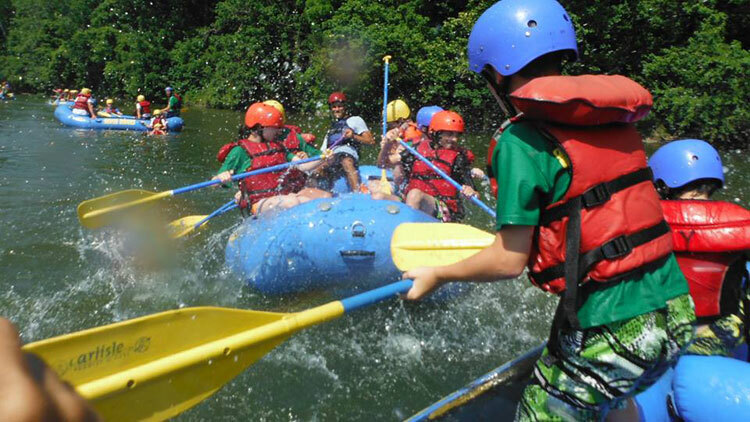 Campers will have plenty of time to swim and play in calm sections of the water. 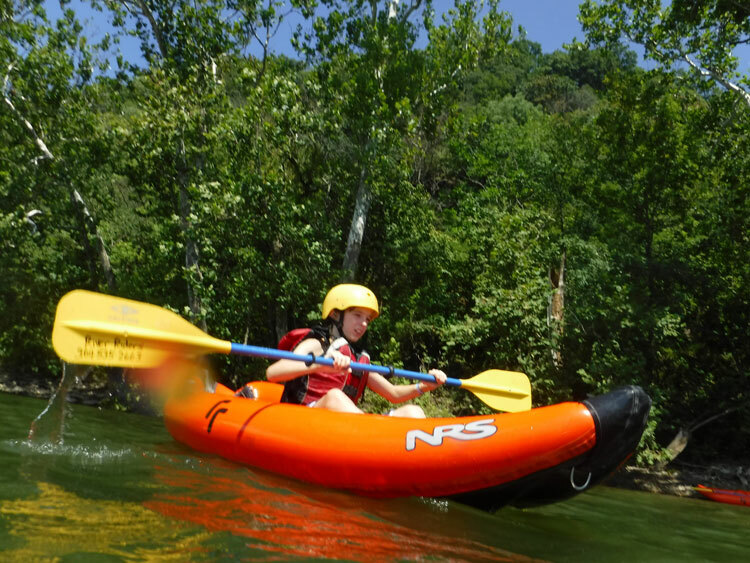 Lunches will be brought with them on the trip so that they can eat mid-day on the shoreline. 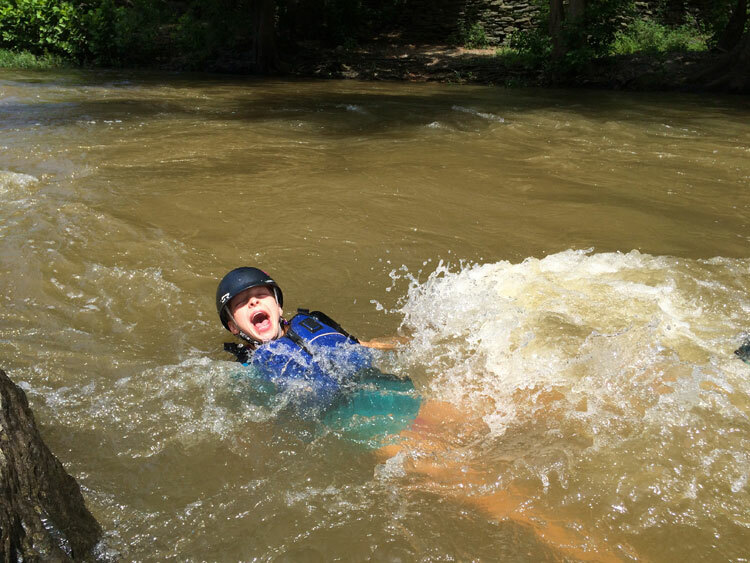 Campers will even have the opportunity to glide down two naturally occurring water slides..